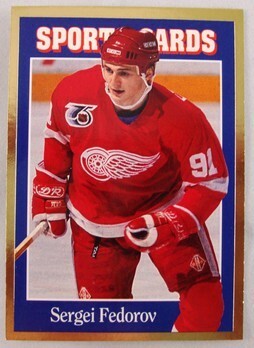 1992 Sports Cards magazine oddball card of former Detroit Red Wings superstar Sergei Fedorov (#119). 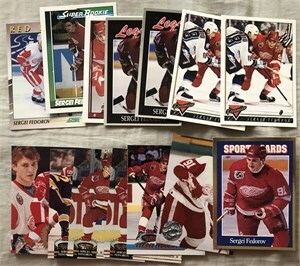 Distributed only in one issue of the magazine. NrMt-Mt or better. ONLY ONE AVAILABLE FOR SALE.